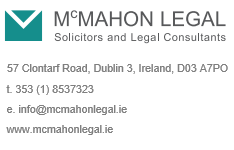 1.2 The “Promoter” refers to Paul McMahon, t/a as McMahon Legal Solicitors and any other company or person that has published any part of the Website or its content. 2.1 A User may view and read the Content on screen on the Website. 2.2 A User may carry out searches of the Content. 2.3 A User may not copy, print, record, capture or reproduce in any way, all or any part of the Content. 2.4 A User shall not exploit, re-use, duplicate, reproduce or otherwise use all or any part of the Content. 2.5 Except to the extent expressly permitted by EU law, a User shall not modify, reverse assemble, decompile or reverse engineer the Website, the Content or any part of it or merge it with any other software or database or create any derivative work from it. 3.1 The Content is provided on an “as is” basis without any liability to any User or other person on the part of the Promoter. All implied terms are excluded and the Promoter makes no representation about the accuracy, currency or completeness of any part of the Content. 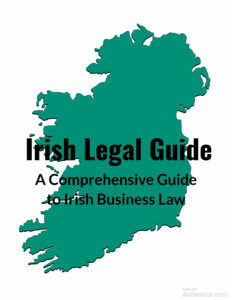 3.2 The Content does not constitute legal or any other advice. The Promoter does not act as a legal services provider in publishing the Content. 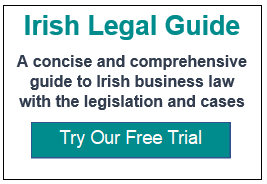 3.3 If a User has a legal question, issue or matter which affects his, her or its interests, he, she or it must take and rely exclusively on legal advice from a qualified regulated professional. 3.4 The Website and the Content are for informational purposes only in order to raise awareness of legal issues and it is a fundamental condition of the use of the Content, that the Promoter (and any other author of any part of the Content) are not liable for any loss or damage caused or arising by reason of any error, omission or misstatement in the Content. 4.1 The Content is the copyright of the author, Paul McMahon where indicated as author and no consent is given to use, copy reproduce it in any way, except as permitted in clause 2 above. 4.2 The User acknowledge that he /she has no intellectual property or other rights in any part of the Content. 4.3 The Content are protected by copyright vested in the Promoter and / or the Author. 4.4 Some of the Content constitutes or is derived from public sector materials. In these cases, it is published under the legislation relating to the re-use of public sector information and any restrictions on the use of those materials apply. 5.1 The use of the website is stated to be entirely at the user’s risk. 5.2 The Promoter has no liability arising from the use of the Website by the User or any other person or from anything emanating from it, and without limiting that exclusion, has no liability in respect of any virus, malware or like programme or function, which might be present in the site or might be spread or propagated by it. 5.4 Any links are provided for convenience and do not signify endorsement of any website. 5.5 It is not permissible for a third party to create a link to this site without consent. 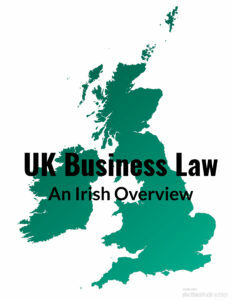 5.6 The use of the website is subject to the laws of (Ireland). This function has been disabled for Brexit - An Irish Guide.